Secretary General Angel Gurria said that Nordic democracies ought to lead the way in creating a better future. Secretary General Angel Gurria of the Organisation for Economic Co-operation and Development (OECD) said Friday that reviving Finland's recently scrapped social service and health care overhaul (known as sote) is an economic necessity. Gurria spoke to news agency STT during a vist to Helsinki to commemorate the fiftieth anniversary of Finland joining the OECD. Gurria claimed that municipalities in Finland would be unable to ensure stable health care funding, but that the failed proposal's 18 regional administrations was also too many. Gurria also raised the aging population as a concern. "Small self-governing units sound like an elegant form of administration, but can they fund equal services? The answer is no," Gurria stated. "Eighteen regions in a country this size is too many, but it would be a start." The breakneck pace of technological development is likely to offer great possibilities, Gurria said, while adding that technology and digitalisation "also has a dark side". 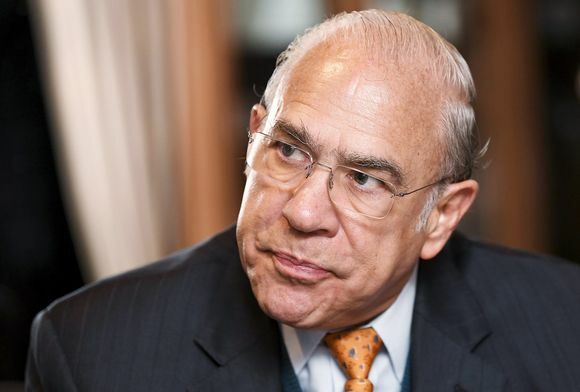 "We estimate that 14 percent of all jobs are directly threatened, with a third of jobs changing completely due to digitalisation and automatisation," said Gurria. "The question is, what are we going to do with the people whose employment is at risk?" Children are at the forefront of technological development, Gurria said, because of their proficiency in learning to use new tools as digital natives. However, successes in international rankings such as the Pisa test are not enough for the OECD; adults need to improve their digital abilities, too. "It's all about skills, skills, skills," said Gurria. "We need education as well as on-the-job learning. Companies are in a key position here to educate their workforce. Public incentives and wise political decisions are also crucial." Gurria said that despite their problems, digitalisation and robotics are essential to building a better future, improving productivity and alleviating the job market losses created by aging workers. The OECD was founded in 1961 to stimulate economic progress in liberal democracies around the world. Authoritarianism in China and the United States as well as anti-democratic movements in Europe have been on the rise in recent years. The Secretary General defended Finland's social security system when asked whether a Nordic welfare state still holds a place in the future. "Not only does it have a future, but it must show the rest of the world the way forward. The Nordics emphasise the importance of the individual. Systems that guarantee economic growth but neglect individual freedoms are not worthy systems." Gurria said that Finland has managed to combine the market economy and the government's role in balancing gaps in overall social welfare. "Research says you are the happiest people on Earth, or at least in the top five. You've definitely done something right; keep going!"